Greece is the cradle of Western civilization, the origin of drama and history and philosophy, the birthplace of democracy. One of the safest and most affordable cities in the world, Athens is a vibrant and large modern city, extending over a plain and surrounded by three mountains. Ancient or modern, it's all here, in some cases as it has been for thousands of years, in others, perhaps since last month. The superb Eleftherios Venizelos airport is Europe's finest and most modern aviation gateway. 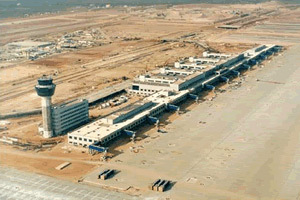 It began operation in March 2001 and it is Europe's new southern gateway to the world. It is an exemplary airport in terms of safety, equipment and operational excellence, providing unrivalled levels of customer care and user-friendliness.